Brand commercial production is a chapter of its own in the film industry, with often only very few shooting days and incredibly tight deadlines. One of the people who know this best is Denis Spycher. The Zurich-based DIT and owner of dithouse.com has been filming commercials for domestic and international clients for more than eight years. 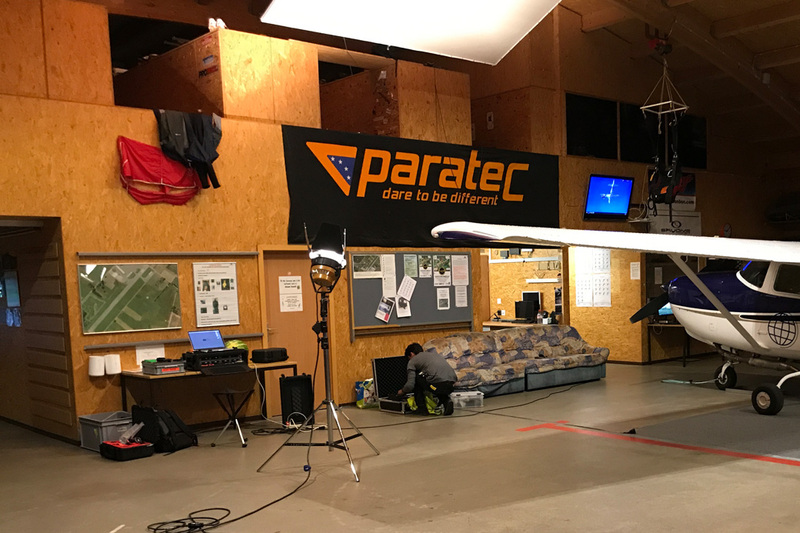 We recently sat down with Denis to talk about his most recent commercial project for telecommunications company Swisscom, in which he used Silverstack Lab for handling data and on-set dailies. In the interview Denis shares some insights into the making of the commercial, and outlines his experience with using Silverstack Lab. Denis, can you tell us a little about yourself and your career first? Denis: Originally, I didn’t start out in the film industry, I was in the IT sector. But as I had always been really interested in films, after a few years I wanted to change to the film industry. After I had applied to lots of companies for a job as a runner, Peter Beck took me on in his company, which specialized in corporate films. I learned all about film production from scratch there – in those days still using tapes as the medium and Avid as the cutting system. I learned all about the creation of a film, from digitalization and editing, through compositing right up to mastering. I also got excited by 3D-animations and I learned how to use 3dsmax software and so slipped more and more into post-production. I finally took over the role of Post Production Supervisor. Everything a DIT needs: Denis Spycher’s workplace. After 13 years with Beck & Friends, I changed to a young company called stories AG, a producer of commercials, and built up post-production there. Doing this made me realize that I really wanted to learn another aspect of production. That was also the point at which I started to offer my services as a DIT and VTR. 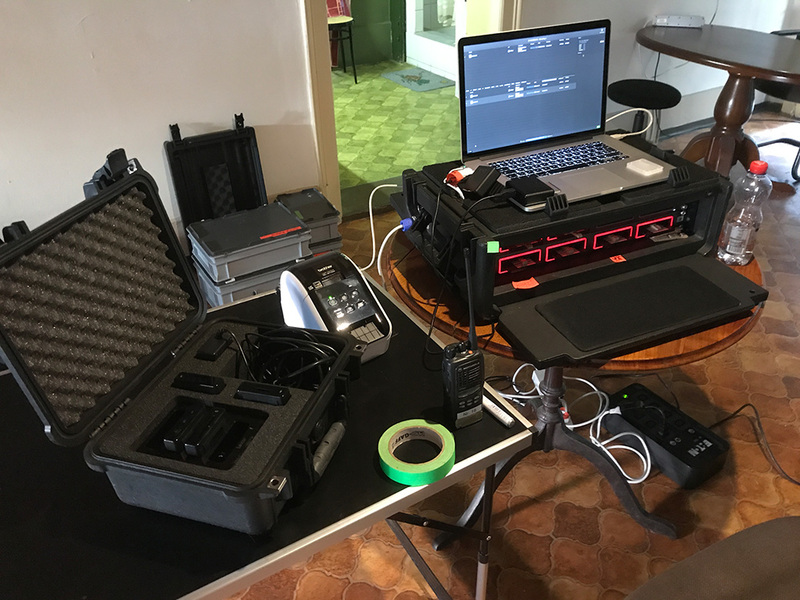 In the course of this activity, I acquired a QTAKE system, so that I would have an ideal tool for the video-assist on set. The last step needed to make the QTAKE system accessible to other film productions as well then followed: the formation of my own company, dithouse.com. I now offer my services in three different jobs with the company: Either QTAKE Operating, DIT/Dailies Services or Visual FX Supervisor. From September 2017 I will be offering an equipped van, in which I can carry out editing, grading, back-up, transcoding/dailies and LTE-Uplinks very flexibly. How long have you been using our software? Denis: I actually became aware of Pomfort because I was looking for a tool for making reliable back-ups. I bought my first Silverstack license on 28th February 2012 and have never looked back! Even before its official release, you tested Silverstack Lab in the beta-phase and used it in some of your commercial projects. What were your experiences with it? Denis: Basically I find the Beta program great because you are involved as a user in the development process and can actively contribute. Ultimately it is important to both you and us that something is developed that we can also use as DITs. And with regards to this, I was able to offer your development team a lot of input. They have indeed implemented some of the feedback which I have given them. I had no concerns about using the Silverstack Lab Beta-Version because the “old part” [the data management features] always worked really well with the Backup. Shortly after its official release, Silverstack Lab was also used in your commercial shoot for the Swisscom spot “Calling”. What was a typical filming day on this project like? Denis: There was really only one filming day but at 16 hours it was very long. In order to be able to start as soon as possible, we got there the previous day. Since the next day was very demanding. i.e., lots of locations and several cameras at the same time in this tight timescale, we ran over all the scenes and settings the evening before. The whole team of 30 was at the meeting so that everyone could be brought up to speed. Then the next day we set straight off and prepared. I set up and did another technical check to ensure that everything worked properly. After the first scenes were shot and I received the cards, I could start the backup and checking the material. I also did the transcoding of the clips on set. The backup and transcoding ran more or less simultaneously through Silverstack Lab. While I had already started with transcoding the first clips, a new card usually came in for backing up. I then just inserted the card and backed it up. Silverstack Lab automatically interrupted the transcoding process during back-up, and then started it again afterwards. That went on all day – until the last scene in the evening, which became another challenge. In this scene, a group of skydivers jumped out of an airplane, each of whom had a GoPro helmet-camera for filming. After the airplane was back on the ground, all cards were given to me of course. Together with the two big cameras which were still in use, I then had about ten cards to back up at all at once. As we were supposed to be leaving on the same evening and thus were under pressure of time, I only focused on the back-up of the last clips. 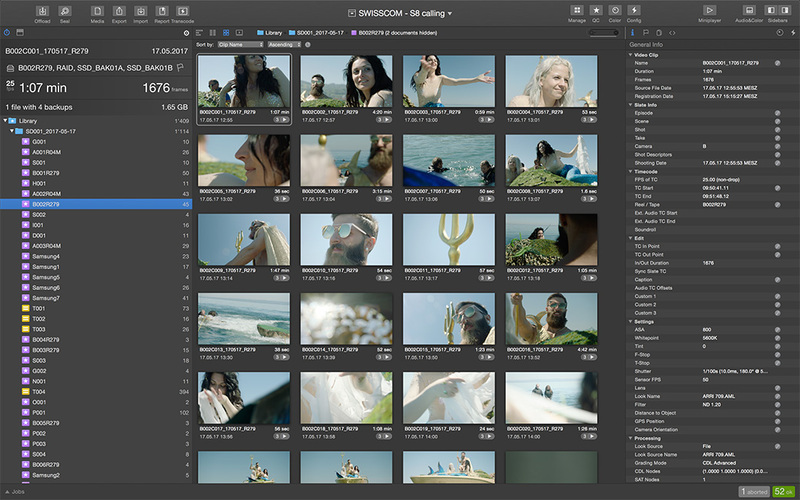 The transcoding was done later in post-production. What cameras and formats did you use for filming? How many cameras were in use? Denis: We filmed using two ARRI Alexa Minis, one Sony Alpha 7S, and some GoPros. The two Alexa Minis were synchronized via Tentacles – these are small timecode generators which help to synchronize the cameras together with the sound later in Silverstack. What options did you have in relation to use of tools and why did you choose Silverstack Lab for the project? Denis: In theory there are a couple of alternatives to Silverstack, such as YoYotta or Shotput Pro, but I only ever use Silverstack on all productions. I have to say that Silverstack just scores very highly with the overview which you can get with e.g., the thumbnails and reports. I also supplement Silverstack with “ParaShoot” for formatting cards, and “DiskCatalogMaker” for registering the file structures. You mentioned that you started the transcoding during the shoot. Does that mean that the dailies in this project were created on set already? How was this decision reached? Denis: The dailies in this production were created both on set and in post-production. I did the transcoding myself throughout the day. As in the evening I received multiple cards for backup, the transcoding of this material had to be done in post-production. It was my suggestion to do on-set dailies. I had discussed this in advance with the post-production. Basically, I see offering transcoding on the set as part of my service. Of course, there are some productions that come to me which have their own post-house and make the dailies in-house. At the same time, there are productions that come to me needing help with transcoding. And they are of course happy if we can offer them a solution. More and more often though, it is necessary to do the transcoding on-set, since productions start editing right away the next day. They then are dependent on doing the transcoding on set. I had, for example, a foreign production which was sent off on the airplane the following day – together with the material, of course. That meant that I had to transcode the material overnight in the hotel. So for most of the time during the shoot, you were doing the dailies along with the data management. How did you bring those two responsibilities in line? Denis: By using Silverstack Lab I could do the data management and the dailies in one. If I had used a different tool, I would have had to do one after the other, that is, I would have had to wait until one process was completely finished before starting the next. The automatic prioritization of tasks in Lab was most helpful. It is especially important that the back-up always comes first and during that time everything else is stopped. 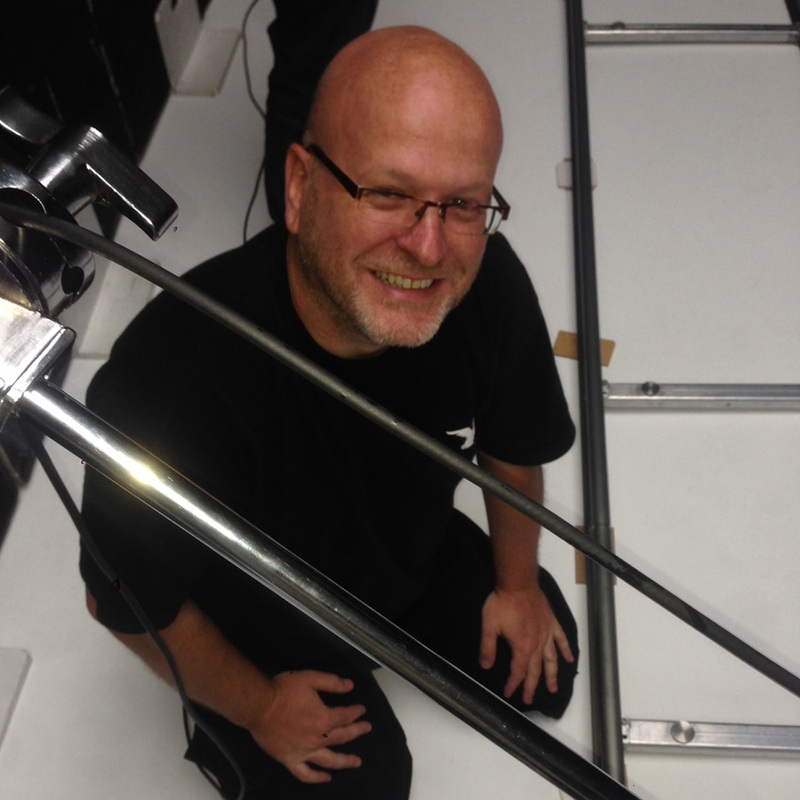 Ultimately, securing the camera material is the most important thing for the DIT. DIT Denis Spycher’s workplace on location of the Swisscom “Calling” Commercial shoot. How was collaboration with post-production organized? Were there, e.g., special requirements from post to the dailies? Denis: In this production, there were no special requirements except that the post-production wanted the dailies in full HD and without LUT applied. In previous productions though, I had for example the case that the post production wanted the file name in the metadata. After I asked Pomfort’s development team about this feature, and they then built it in, this is no longer a problem for me. Ultimately I gave the post production a disk with all the data. The disk contained three folders: In the first was the raw material, organized by filming days. The second contained the reports and the dailies in the third. You’ve used Silverstack Lab on a few productions already. How is the on-set dailies process with Silverstack Lab different for you in general? Denis: The main difference is that all the functions I need on set are contained in one piece of software. That means I have one batch of back-ups and clips which I can just work through, which is great. Personally, I always find it better to be able to do everything in one piece of software than constantly having to import/export data between other programs. I had already realized this while working in editing where I also was trying to do everything in Adobe Premiere Pro and not having to switch to, say, Nuke. Clips from the Swisscom “Calling” commercial in Silverstack Lab’s clip library. Before changing to Silverstack Lab, you were working with Silverstack. How did you learn the new features and prepare for your first projects with the new workflow? Denis: Actually I didn’t do any great preparation for the first use; I just carried on as before. If any questions arose about a function, I either found out for myself, (there is a very detailed manual with it) or I contacted support. Basically, only the Audio Sync and Transcoding have been added. As the software is very intuitive anyway, it didn’t take me long to be able to work with the new features. Will you use Silverstack Lab again? Why? Denis: I’ll definitely use Silverstack Lab again! It’s a tool which has really proved its worth. For one thing, you can be very flexible with Silverstack Lab, and you can set a lot for your own preferences and for the requirements of others. For another, I generally subscribe to the philosophy of doing everything in one program if possible because it saves a lot of time. And Silverstack Lab allows me to do just that. Thanks a lot to Denis for sharing his insights into how he uses Silverstack Lab for his commercial shoots! Data Management and Dailies in One. Check out how Silverstack Lab can improve your daily on-set workflows! Elisa is responsible for a great part of the communication of our products. When she's not at the office writing or coding, you can be sure she is watching yet another movie, scanning the credits for the responsible DIT. The Zurich-based DIT and owner of dithouse.com has been working in the film industry since 1997 and started filming commercials for domestic and international clients more than eight years ago.